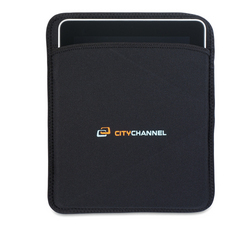 Tablet accessories are a huge emerging trend in branded merchandise. This innovative case/stand combo starts as a standard neoprene sleeve, then magically converts into a dual-position stand. This is a great item for promoting to techie clients, or can be used to thank customers for purchasing your SaaS products. Looking for a backpack with all the bells and whistles? This is it. Not only does it feature oodles of gadget-friendly pockets and ports, not to mention being TSA-compliant, it includes a removable iPad TechTrap — a product you can’t get anywhere but inside this bag! This is a great incentive for college students. 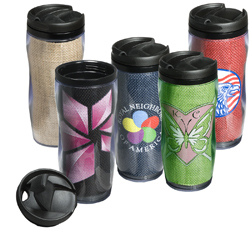 Corporate gifts with recognizable brand names are always popular, and we’re proud to add another premium brand to our 2012 catalog. This cooler features high end details like diamond weave accents, contrast piping and branded hardware. 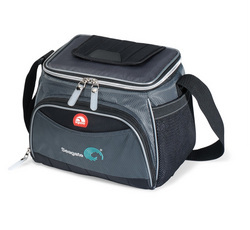 This is a great product for corporate outings. 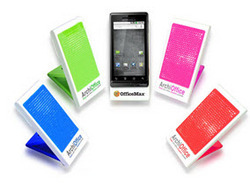 This eye-catching mobile phone holder is perfect for office working who use their phones all day. It can be sent flat as a dimensional mail item. Yep, this tumbler has fabric inside. This unique piece features a branded liner made of jute (an eco-friendly vegetable fiber). It’s both memorable and attractive! Use in an HR wellness program to encourage employees to stay hydrated, or when you want your logo to travel with clients on the go.